1-Minute Bible Love Notes: Is It a Sin? If something is condemned in the Bible, it’s wrong. But Scripture doesn't specifically mention every form of murder, pride, lust, etc. 1. Does it violate a biblical principle? 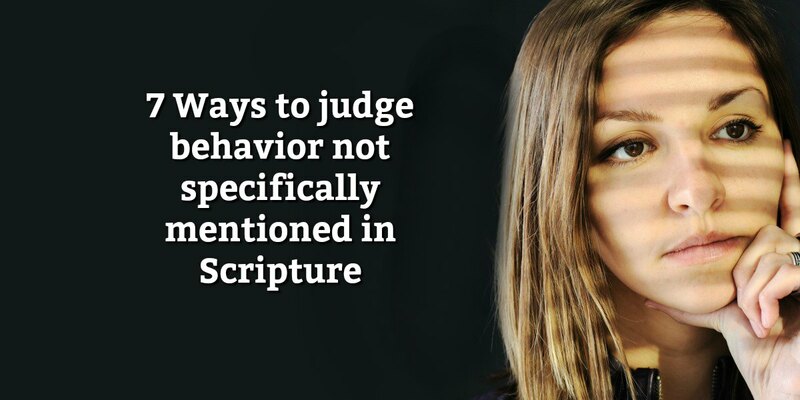 If it violates any principle in Scripture, it's wrong even if it's not specifically mentioned. For example, abortion (See What Scripture Says About Abortion). 2. Does this activity involve lack of self-control? Is it addictive or controlling? Most ungodly behavior involves lack of self-control and can lead to addictions or obsessions. 3. Does the activity do physical harm to body, soul, or spirit? 4. Does the activity harm others? 5. Is there any positive benefit in the activity? 6. Is it interfering with our walk with the Lord? (1)Please note: God does not approve of everything that is legal. Nor should we obey laws that cause us to disobey God's laws. For more on this:God Wins all Wrestling Matches. 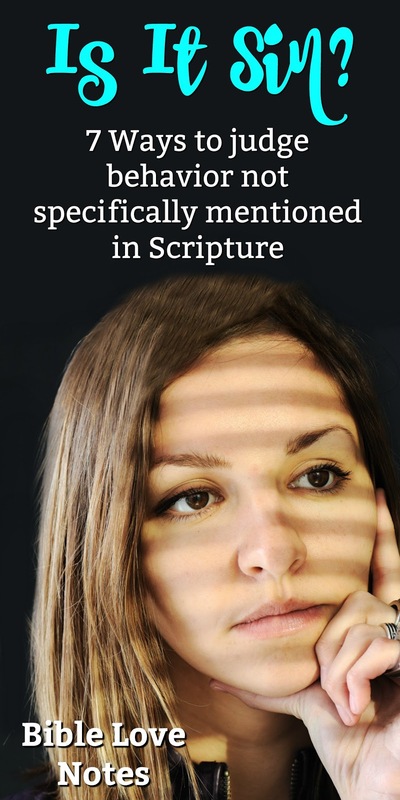 I encourage you to check out today's Bite Size Study for full-text Scriptures as well as additional questions, insights, and resources.